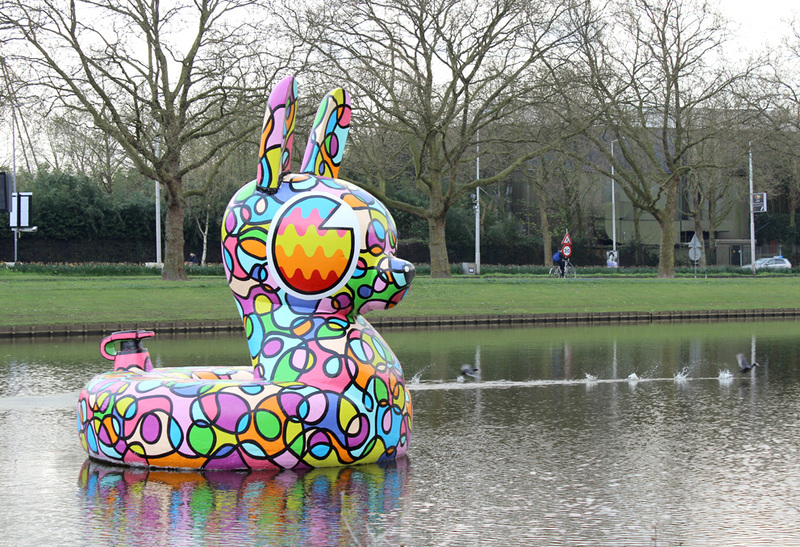 For the 5th year in a row, ‘Badkonijn’ (or ‘Bath Bunny’) is back in the Vroesenpark in North of Rotterdam! Together with the children of community center “De Propeller’, we redesigned the new look of the floating artwork ‘Badkonijn’. In the previous years Kwannie managed the project together with Niels Lakens, but since this year Studio MAKY did the whole redesigning with the young participants. 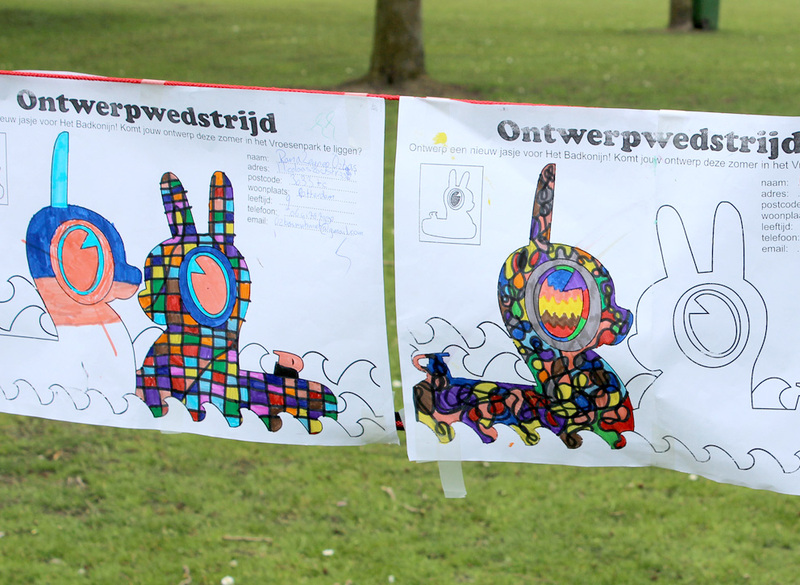 Children were asked to design a new look for the giant floating Bath Bunny and think about funny patterns as part of the social educational project. This year’s happy winner is the 10-year-old happy girl Romaissa with her fantastic colorful doodling. It was a very inspiring and a big challenge to paint her design on the giant Bunny. The children who participated in the contest also helped us out with the painting of the new design. During the opening visitors enjoyed the new outfit of Badkonijn and all the designs of the young participans in a mini expo. Badkonijn can be seen in the Vroesenpark (Rotterdam Noord) until October of this year.